*Taped during rehearsals for the late Michael Jackson’s London comeback tour which was not to be, This Is It is captures the essence of a Prince of Pop concert, only sans audience. In this regard, the movie actually allows for a much more intimate experience than one taped in front of throngs of loud, distracting and adoring fans. For here, in the empty Staples Center in Los Angeles, you’re able to focus strictly on Michael, and to listen to him interact with his crew and collaborators in between numbers instead of hearing deafening applause. For there’s Michael plus an elaborate menagerie comprised of musicians, backup singers, crotch-grapping dancers, strippers on poles, daredevil tightrope aerialists, costumed actors in masks, pyrotechnics, a blue screen showing a variety of images, human toasters (you’ll see), smoke and wind machines, everything but Mad Dogs and Englishmen. And they all combine to put on quite a show, even if perfectionist Michael periodically interrupts to adjust the lighting, the sound level or the play of one of his accompanists. 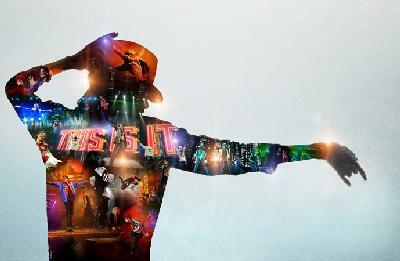 The film features plenty of inspired musical performances, including Billie Jean, Thriller, Man in the Mirror, Smooth Criminal, The Way You Make Me Feel, I Want You Back, The Love You Save, I’ll Be There and the title track. What we repeatedly see here is a multi-talented genius at work, a man perhaps most comfortable in this milieu, namely, on stage, whether he’s complaining about an earpiece (“It feels like someone’s fist is shoved into my ear.”), orchestrating complicated choreography, or doing a soulful duet with Judith Hill, the beautiful African-Asian-American soprano who would later sing Heal the World shortly thereafter at his funeral. Again and again, Michael takes charge, for he knows exactly how he wants each tune to sound and look in order to satisfy his fans. And because he was so unguarded and totally oblivious of the rolling cameras, this flick captures him more authentically than any previous footage this critic has witnessed (including that Martin Brashear BBC documentary), and reveals the very likable persona of an icon who was obviously born to entertain. Not a ghoulish take-the-money-and-run rip-off, but a surprisingly sweet, sensitive, tenderhearted swan song you will never forget that will have you shedding a tear while tapping your feet. Rated PG for suggestive choreography and scary images. DVD Extras: Three featurettes, two “Making of” documentaries and a theatrical trailer. Any reason to refer to him as the “Prince of Pop”? Michael’s rehearsals are better than 99% of artists actual shows, I loved this in the theater and highly recommend it to anyone who may not have seen it yet.